The Christmas season officially begins in our house tomorrow. We'll be attending our first Christmas party of the season tomorrow night. During the day I have a feeling that we'll start baking some holiday goodies using the bags and bags of ingredients stacked on the kitchen counter. MickeyMaxx has a new cookie recipe that I have had the privilege of sampling. They are yummy! Last weekend I dug out my tried and true peanut brittle recipe and added a new twist to a test batch. Some of the MiceChatters that sampled it last weekend approved of the addition of cayenne pepper to add a little heat. 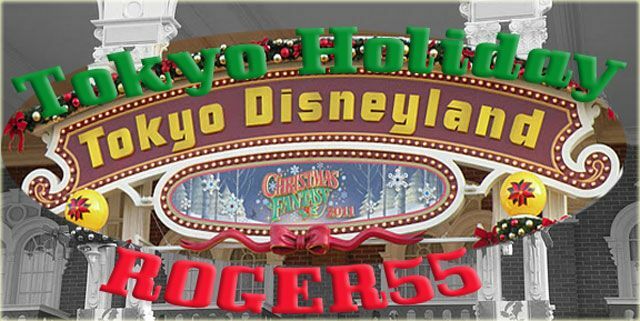 Roger55 continues his epic report on Christmas at the Tokyo Disneyland Resort for us. The focus this week is on entertainment. I have learned through the Weekend Update reports from Tokyo over the years that the Japanese really know how to put on a show. 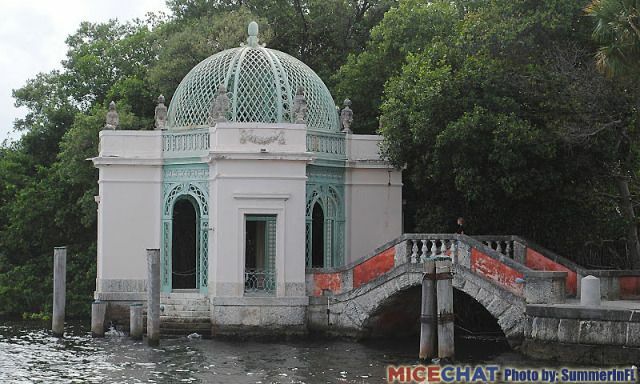 SummerInFL and her mom visited Vizcaya Museum & Gardens in the Coconut Grove neighborhood of Miami. 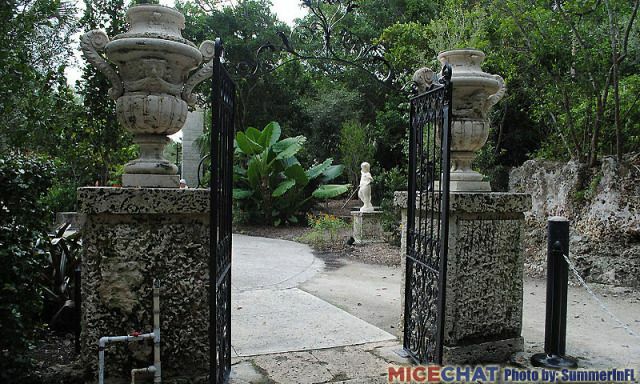 Her photos of the former estate of James Deering, of the Deering McCormick-International Harvester fortune give us a peek into the lifestyles of the 1%. 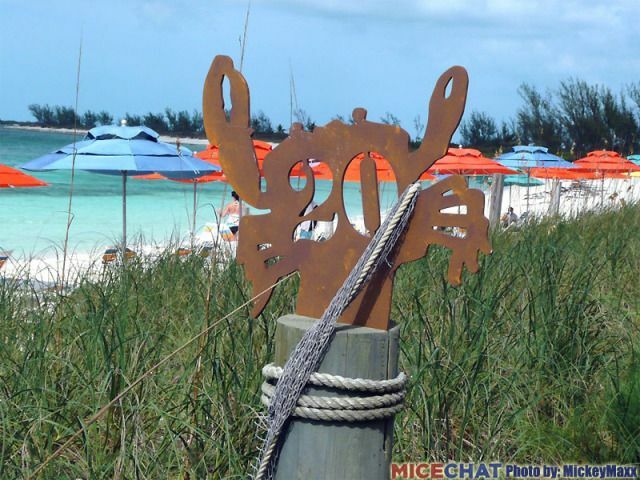 Finally, MickeyMaxx shares photos of Disney's Castaway Cay private island. 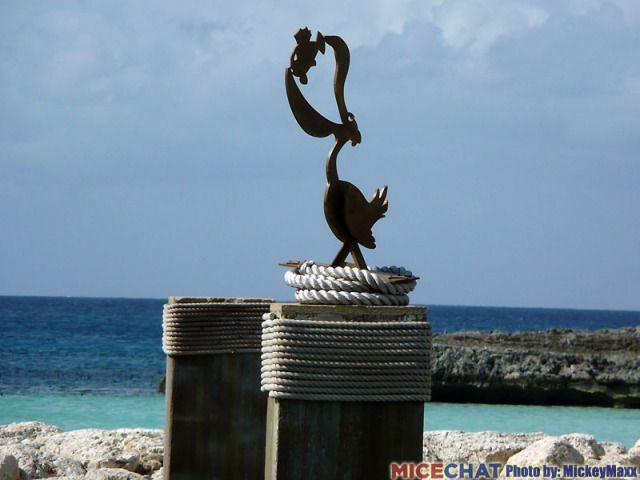 This was one of the highlights of our recent cruise on the Disney Dream. 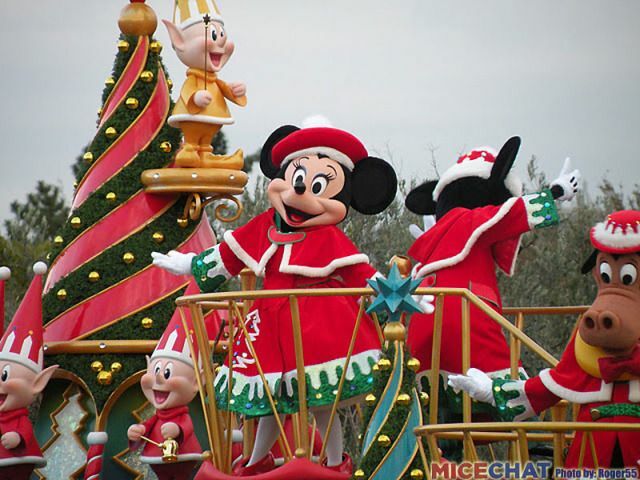 Back again this week with anothe report on Tokyo Disney Resort's special holiday events. Up to this point my reports have been focusing on the holiday decorations. 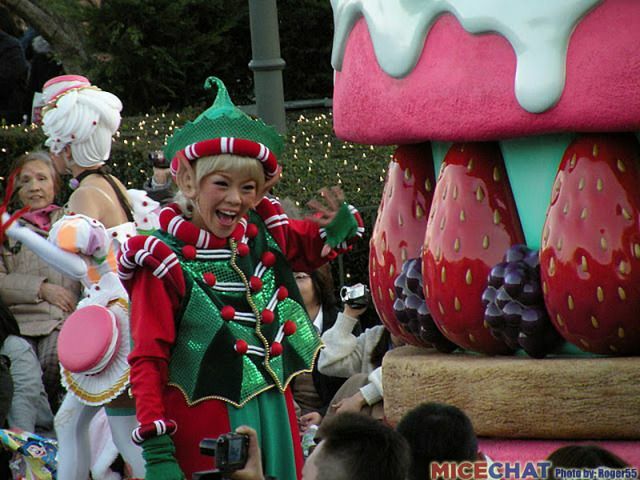 For this report, I wanted to share with you all the entertainment for "Christmas Fantasy" at Tokyo Disneyland. 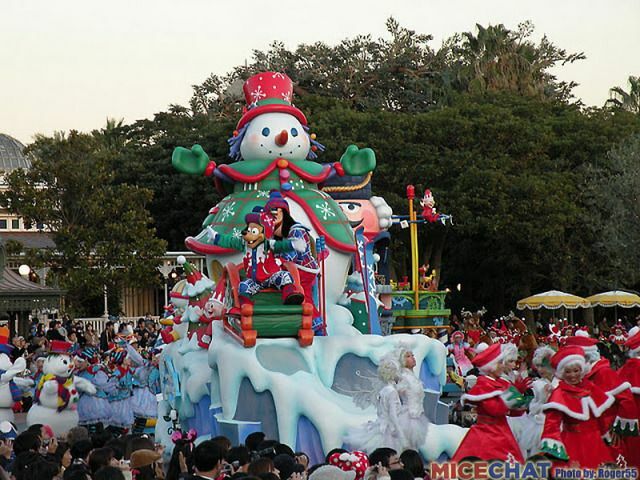 Tokyo Disneyland "Disney's Santa Village Parade"
As part of the "Christmas Fantasy" special event for 2011, Tokyo Disneyland rolled out a brand new holiday parade. 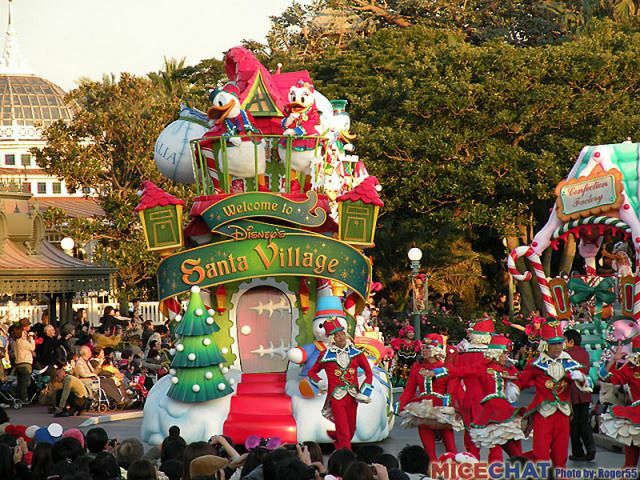 "Disney's Santa Village Parade" is a woderfully fun and festive parade that showcases many of the main Disney characters as well as a few Disney characters that Guests of the US Disney Parks aren't so use to seeing. 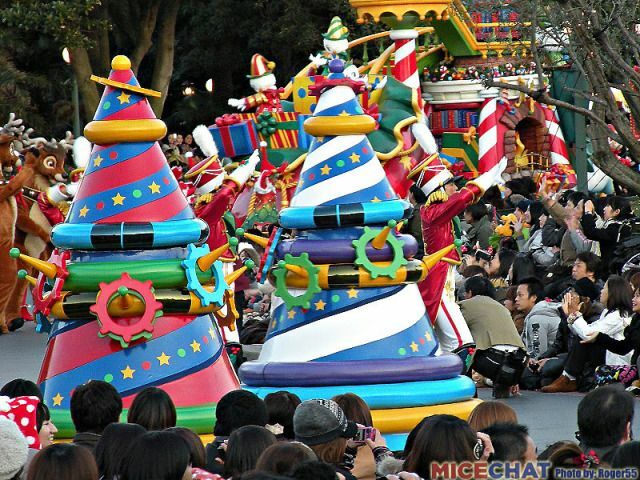 Of course, Tokyo Disneyland has once again pulled out all the stops and created all new floats for the parade. 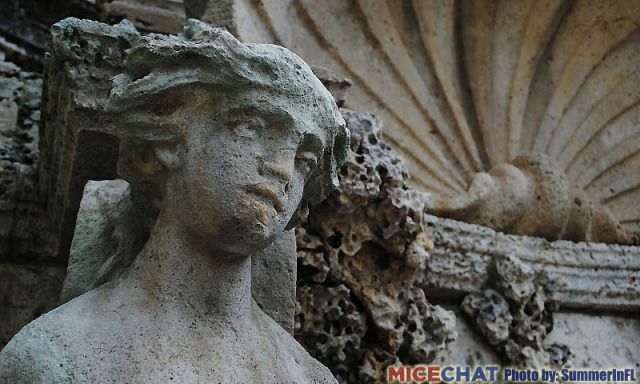 They all are amazingly detailed and have a VERY high quality look to them. 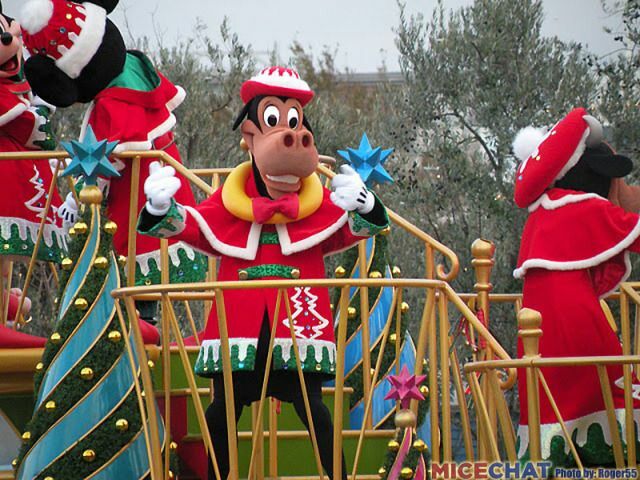 I don't think Tokyo Disney Resort even know's what a cut-out is! 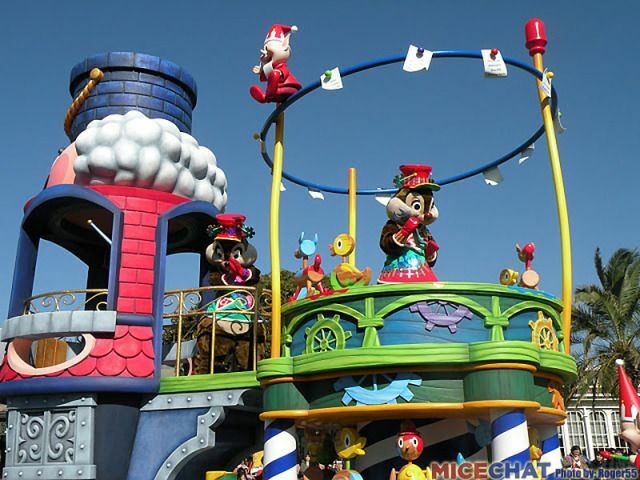 To go along with all the characters, performers and floats, there is a all new parade soundtrack too! 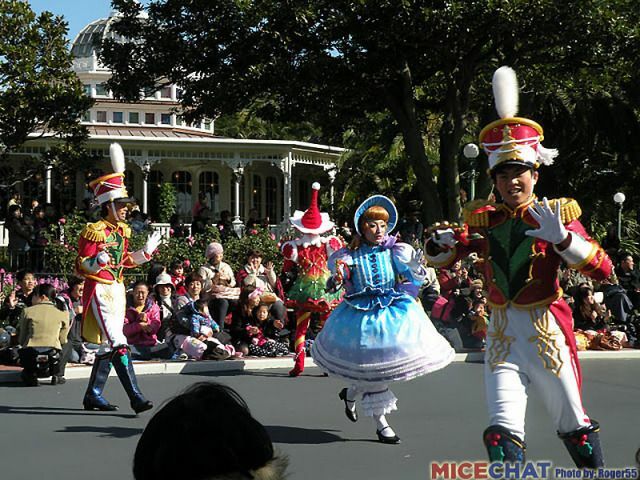 I watched the parade multiple times and took photographs from three different locations. I've combined the photos from all three locations into this report so you'll notice the different angles and different lighting conditions. There is much to appreciate about this parade up-close and from a distance. 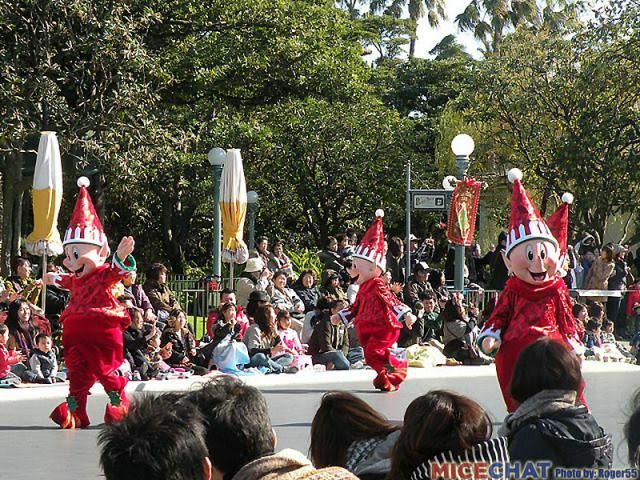 For those of you that aren't that familiar with Tokyo Disneyland, you might be surprised how popular the parades are with the Guests. 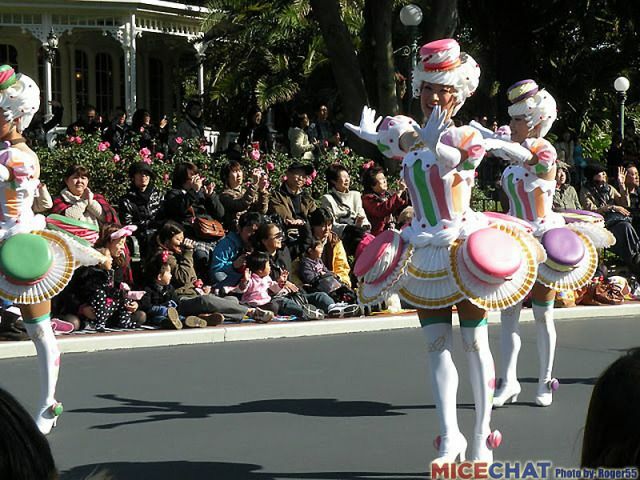 As you can see in the photo below, Guests line up not a few, not several, but rows and rows deep to watch the parades. It also should be noted that this photo was taken on a weekday while schools are in session. 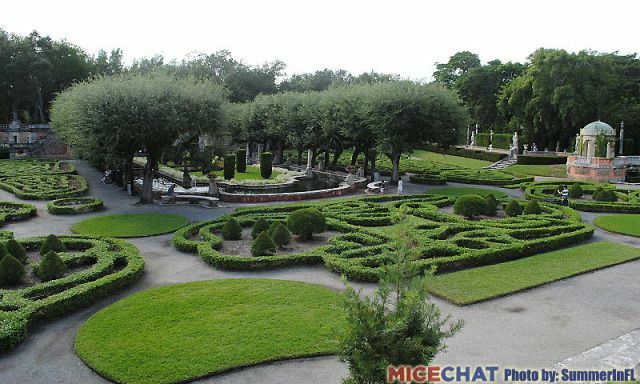 Guests start staking out the prime viewing locations several hours in advance. 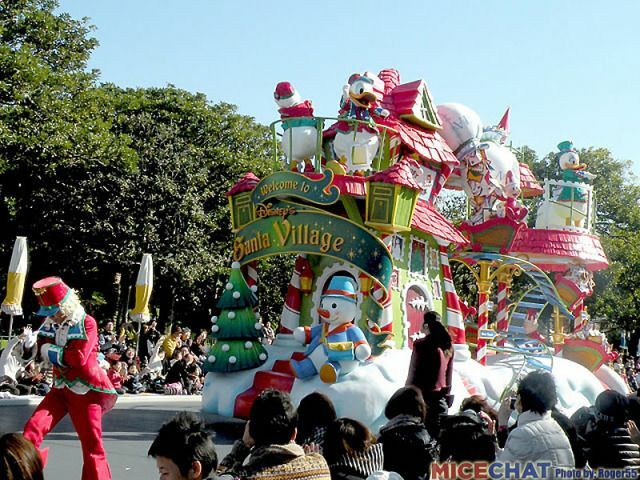 This particular area is THE prime are for the "Santa Village Parade". 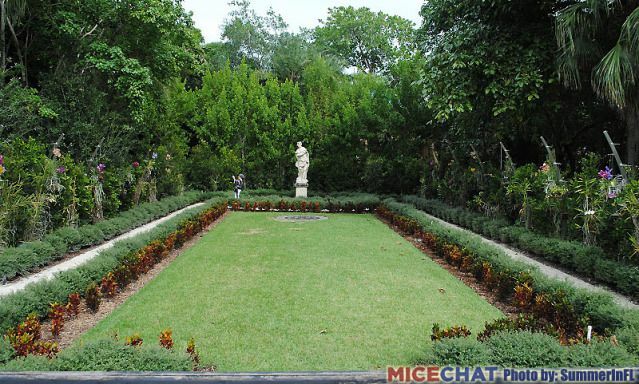 In order to provide a great Guest experience for so many people, this particular area (along with some others) is designated a seating area. 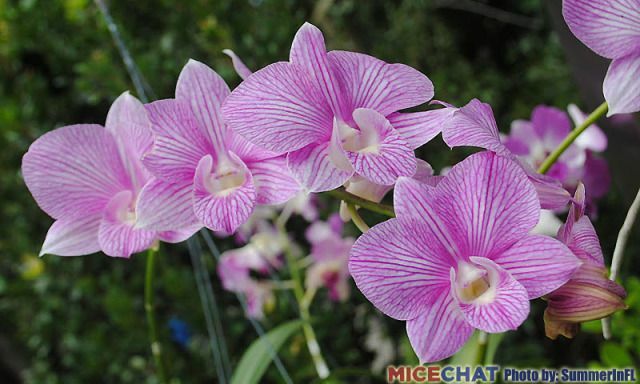 Japanese Guests for the most part are very courteous to others. 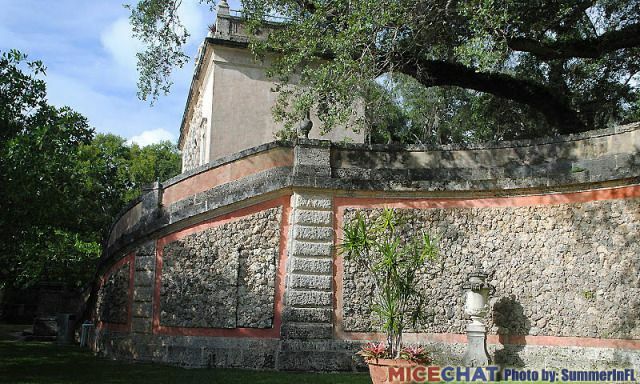 Guests are reminded via public address sytem to remove any tall hats and not to hold any cameras higher than head level. Putting a child on one's shoulders is not even thought about and no reminder is given. 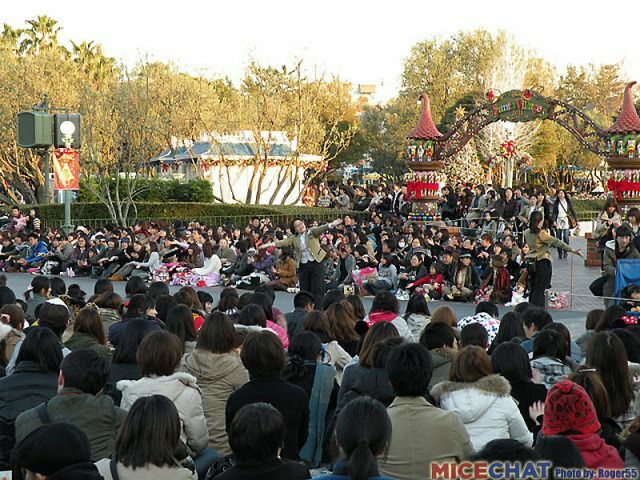 I wish the US Disney Parks and their Guests could take a cue from the Japanese. The Guest Control Cast Members in the gold coats come out and teach all the Guests the ever popular "Guest Participation" dance that goes along with the parade. 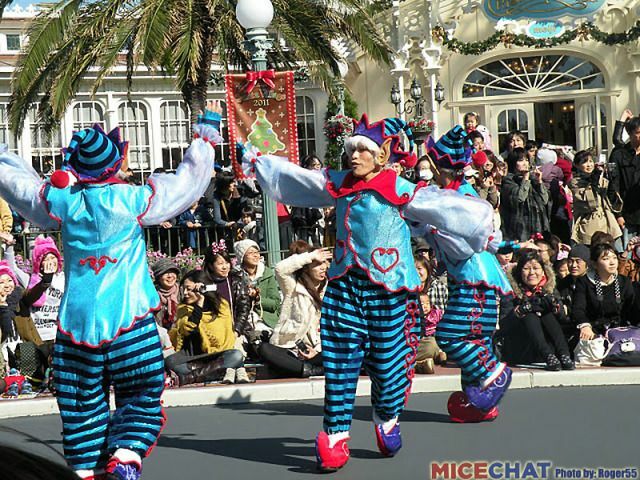 Most every Tokyo Disneyland parade has a "Guest Participation" dance that the Japanese Guests LOVE. 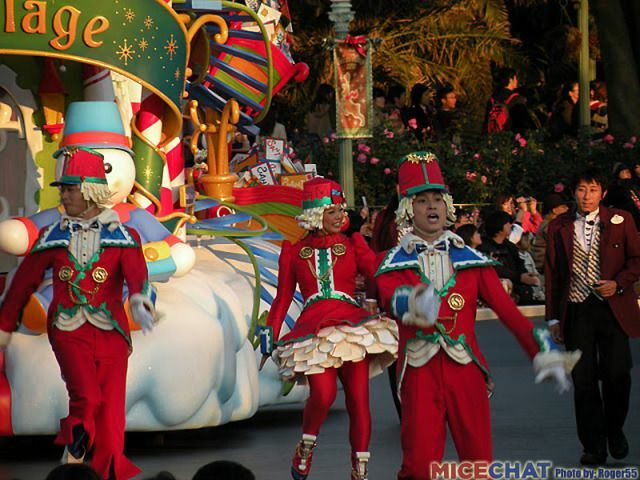 The Cast Members themselves do a wonderful job teaching the dance prior to the arrival of the parade. Some even have their own fan base! 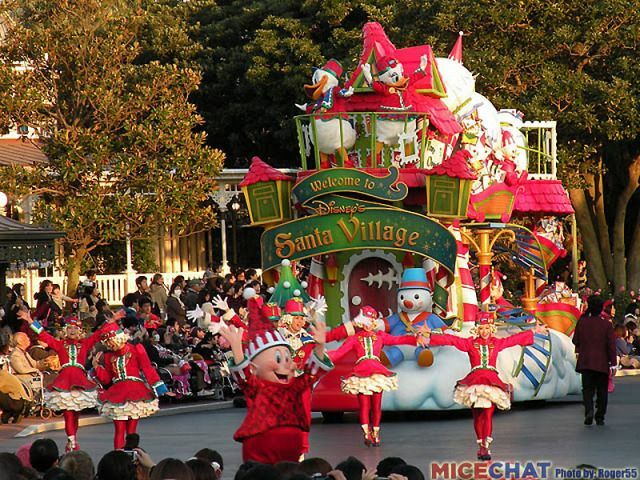 The "Santa Village Parade" kicks off with these brand new characters. 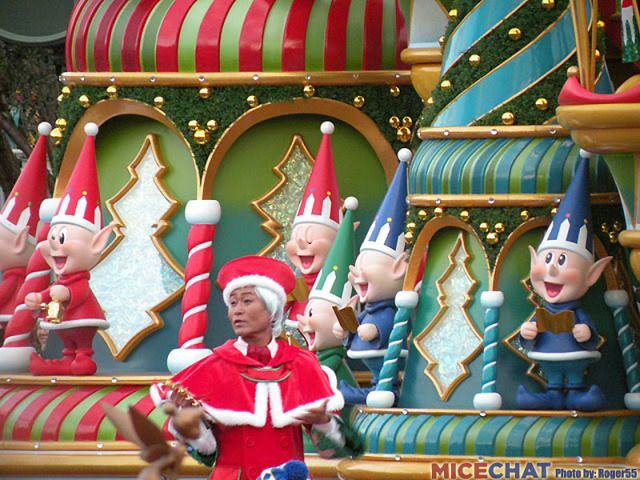 These elves are also featured on the displays in the central hub (see November 19 Weekend Update report) [LINK] as well as part of the decorations on the new parade floats. 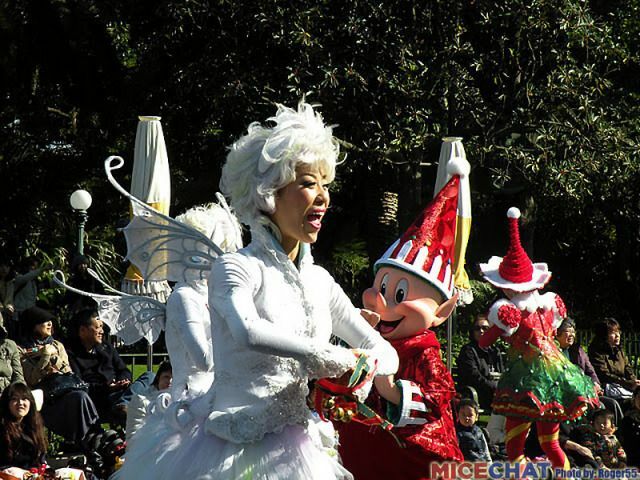 While these elves look quite cute in small scale on the displays and as part of the float decorations, these full size elves are kind of creepy don't you think? I think she is a snow fairy. All the performer's costumes are wonderfully done. 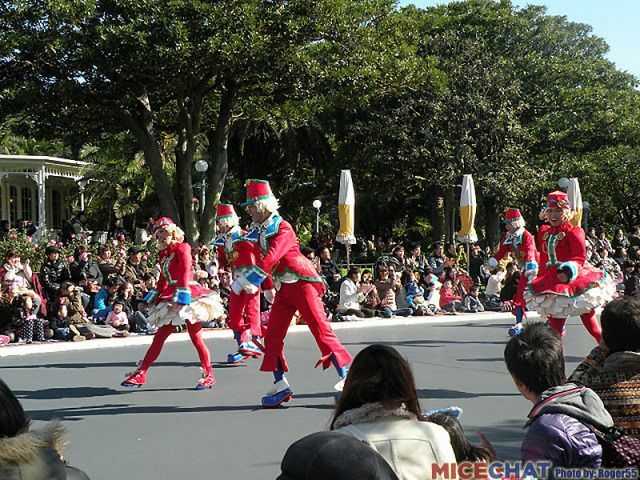 The performers are very polished and always give a high spirited performance. 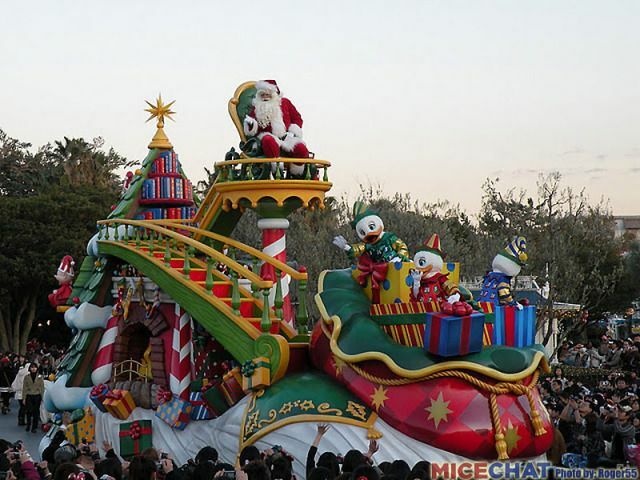 The first float is Santa Village Post Office. 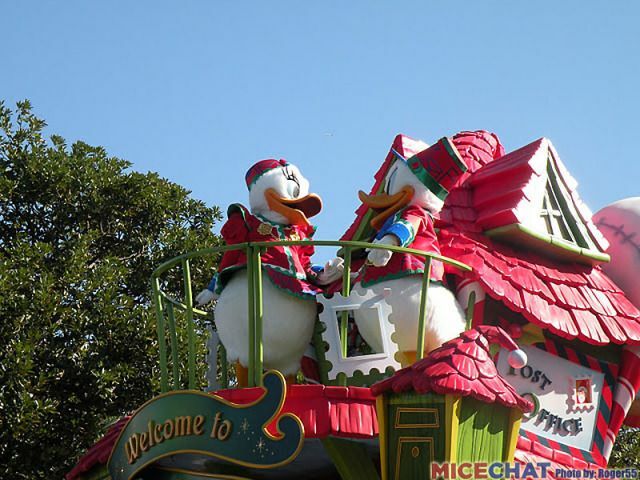 On the float is Donald, Daisy and Scrooge McDuck. 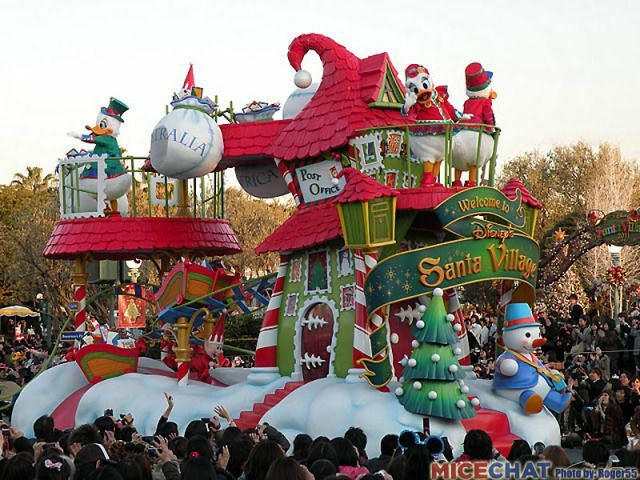 This float is very nicely done and is decorated with sacks of mail for Santa from all over the world. 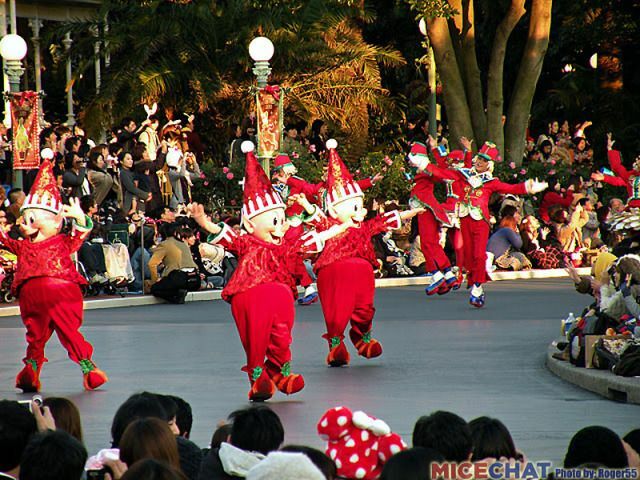 You can see the elves in the back sorting the mail as it comes down on a roller coaster like cart system. 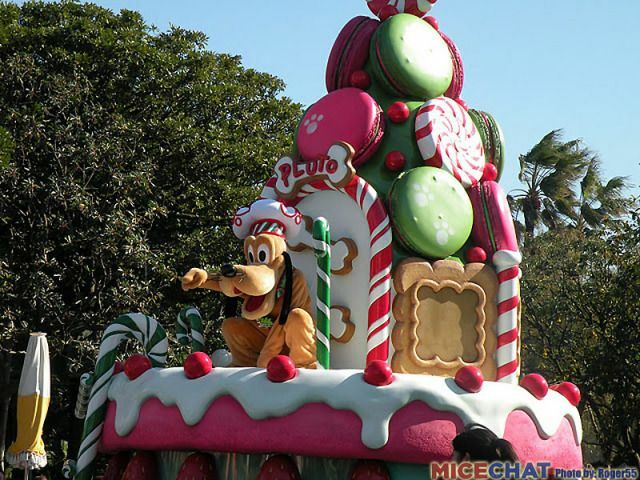 If you look closely, you can see the float is decoarted with all sorts of stamps in 3-D, not just painted on. 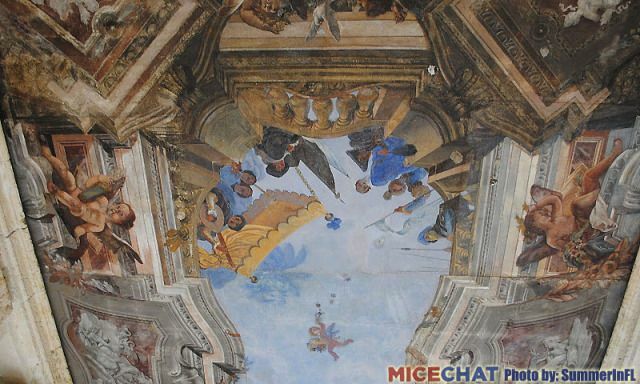 Great attention to detail! You can also see the fine work put into the roof shingles. 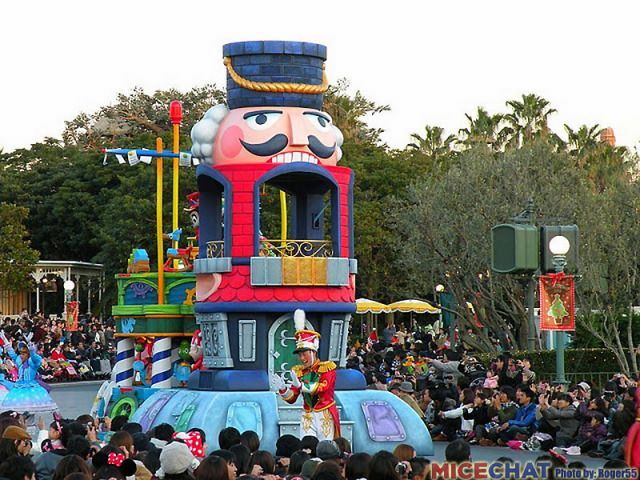 It's these little details that make the Tokyo Disneyland parade floats look so much more spectacular. Next up is the Confection Factory. 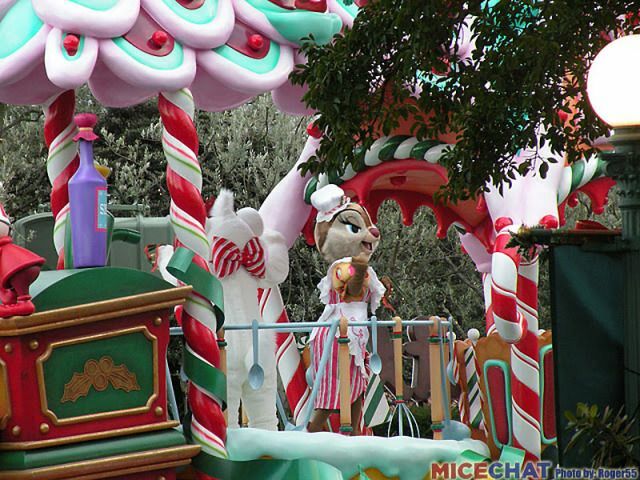 Riding along on this float are Marie from Aristocats and Chip and Dale's friend Clarice. 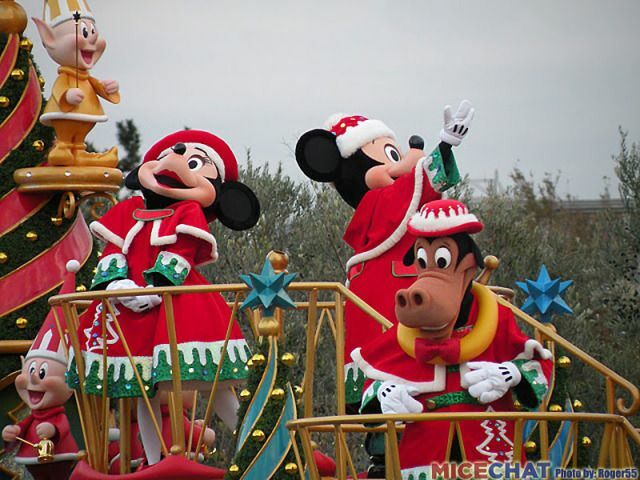 US Disney Parks fans probably can't imagine a whole float dedicated to these two characters. 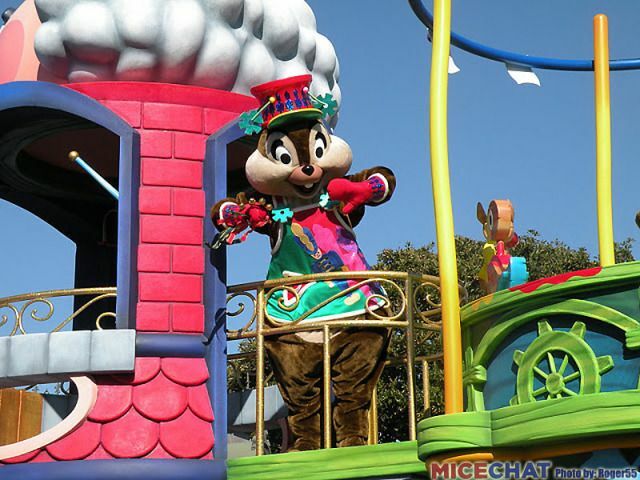 In Japan, both Marie and Clarice are quite popular and frequently appear in the parades and shows. Again, the details on this float are amazing. 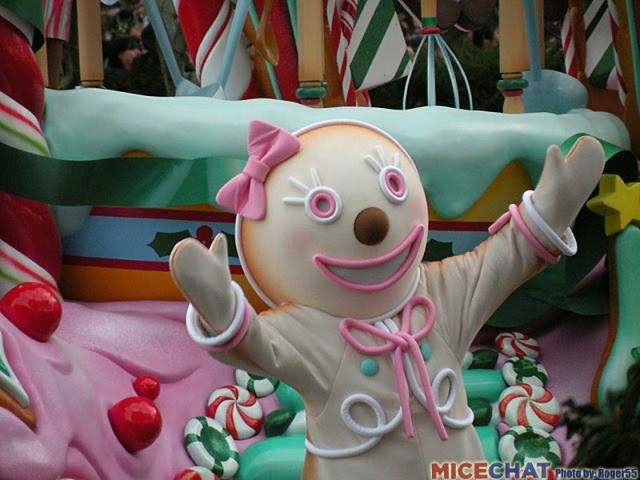 The gingerbread men and all the candy are molded or sculpted. All this work for a parade float that will probably at best be used for 2-3 years. 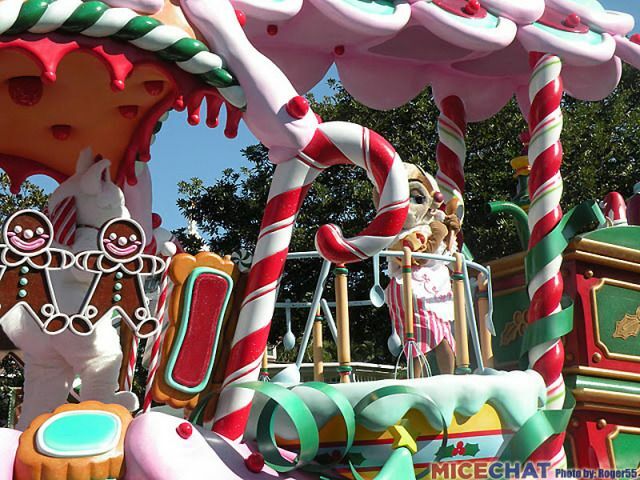 Following along with this float are the "classic" Disney Gingerbread people. 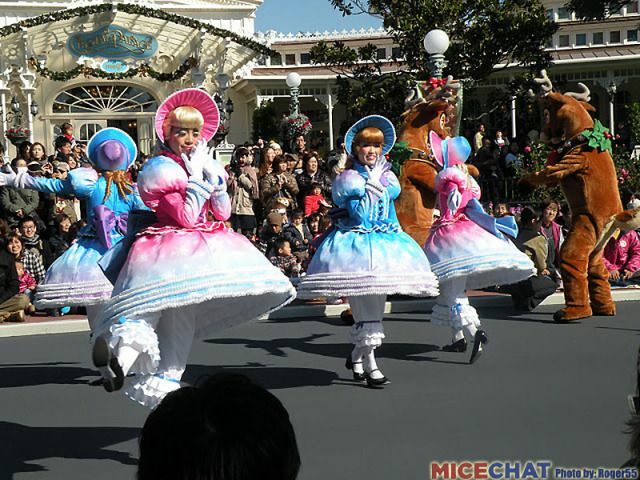 And there are also the "scrumptious" looking dancers. What amazing costumes! Adorable! 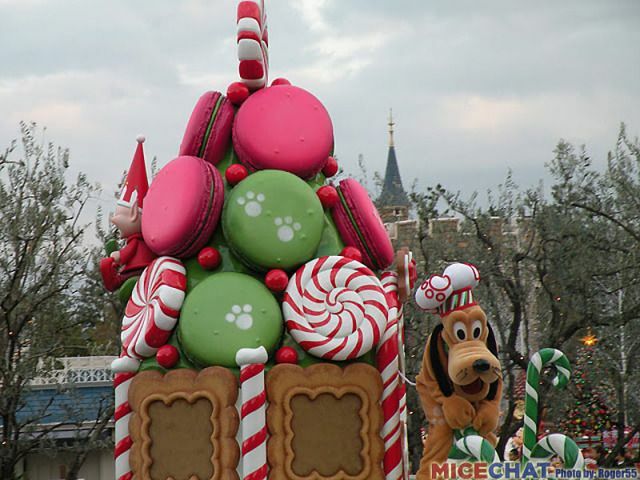 Keeping with the confectionary theme, the next float is Pluto's dog house built entirely out of cookies, macaroons, and candy all on top of a fruit tart. 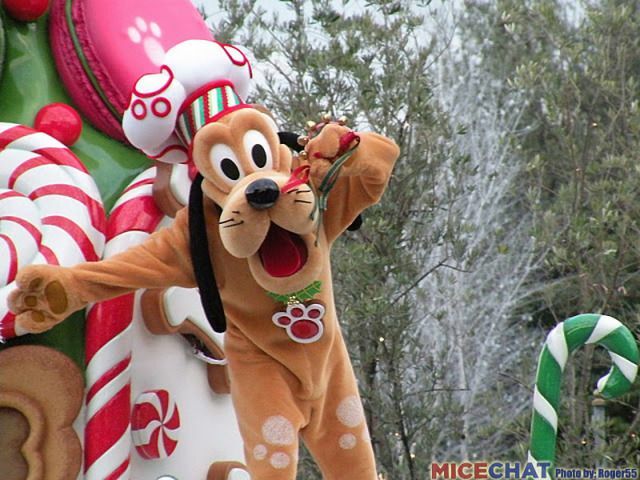 You can see that Pluto has been lending a "paw" by the prints all over the float and himself! Those giant strawberries and rasberries look good enough to eat. 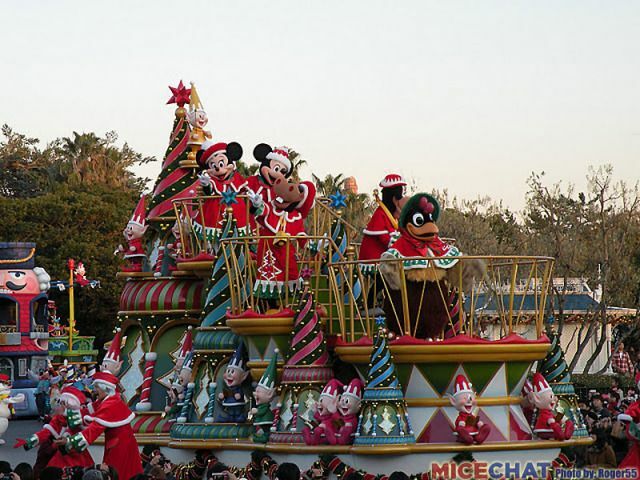 The main float in the Santa Village Parade is the Christmas Tree Farm float featuring five VERY CLASSIC Disney characters. 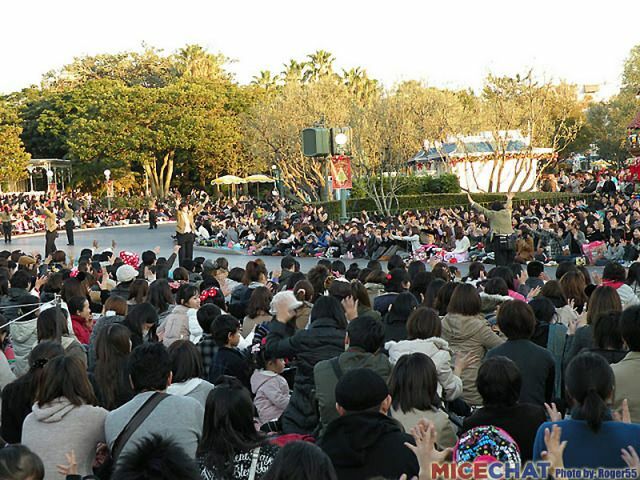 Japanese Disney fans really like and appreciate the classic characers. 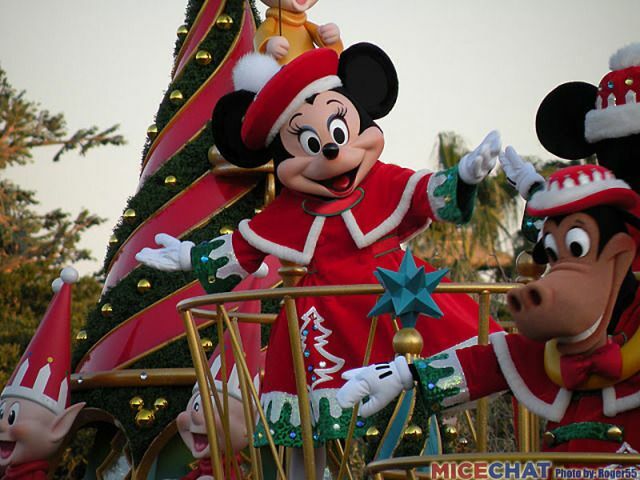 That is why they are given the distict priviledge of riding along on the main float with Mickey and Minnie. There are so many things to take in. 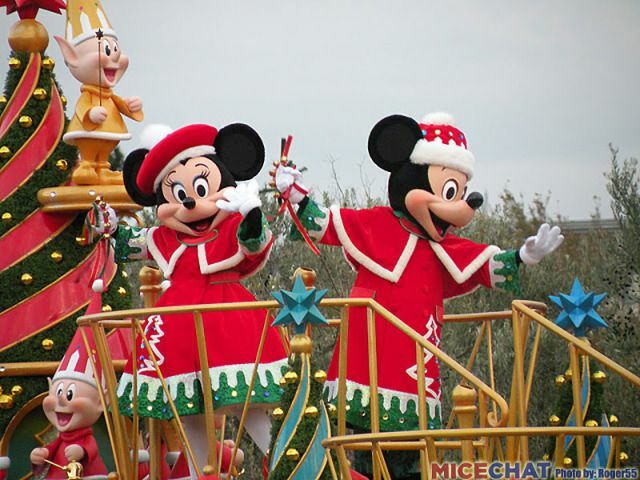 I've even forgot to mention until now all the unique and custom holiday character costumes! 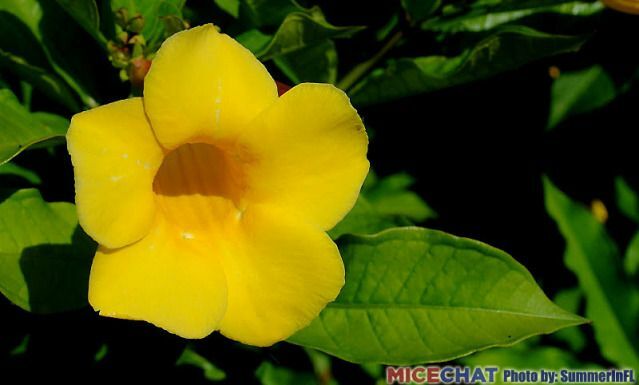 Thanks for posing for the camera Minnie! 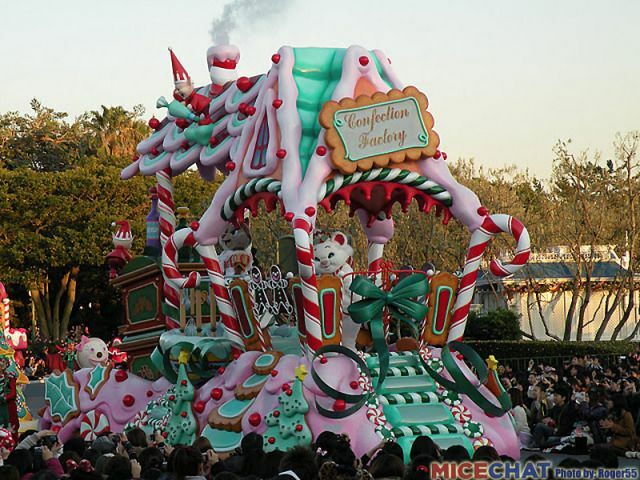 Here is a closer shot of some the float detailing. I just love it that Clara Cluck gets her moment in the spotlight. 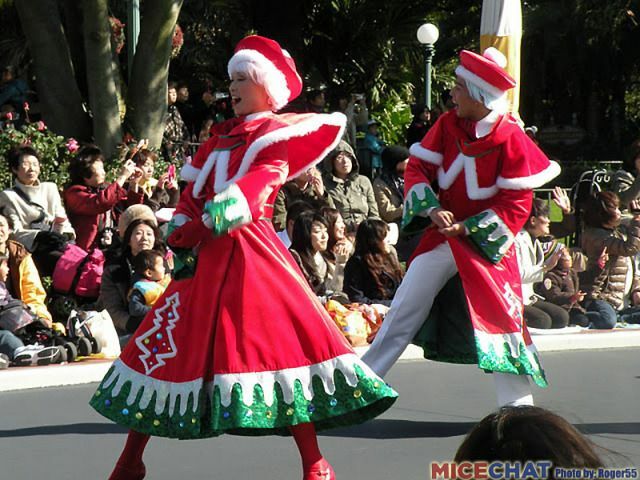 Only in Tokyo Disneyland! 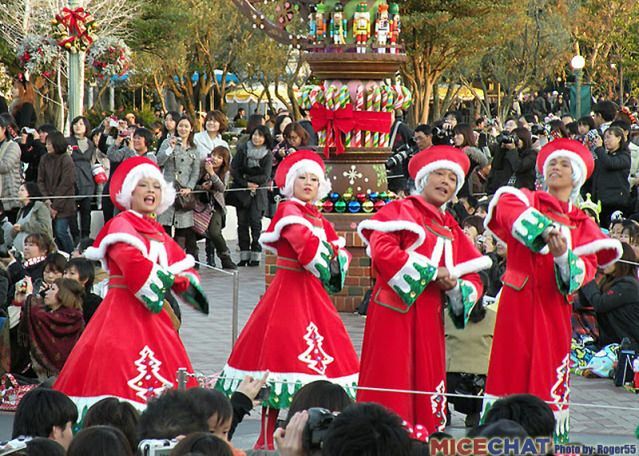 As part of the show stop performance the characters and performers ring in the holidays. 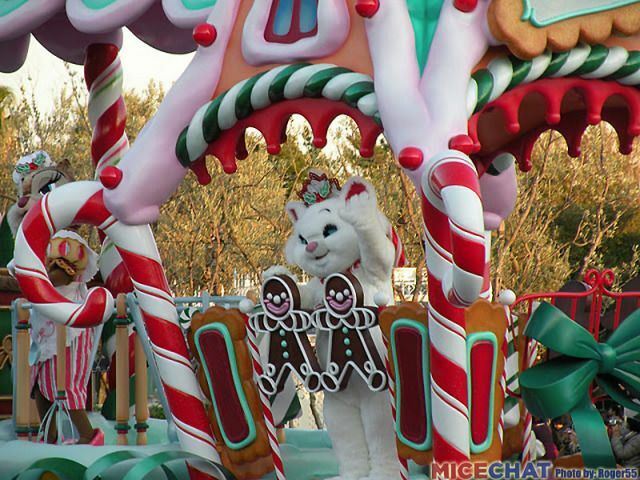 It isn't all work and no play in Santa Village. 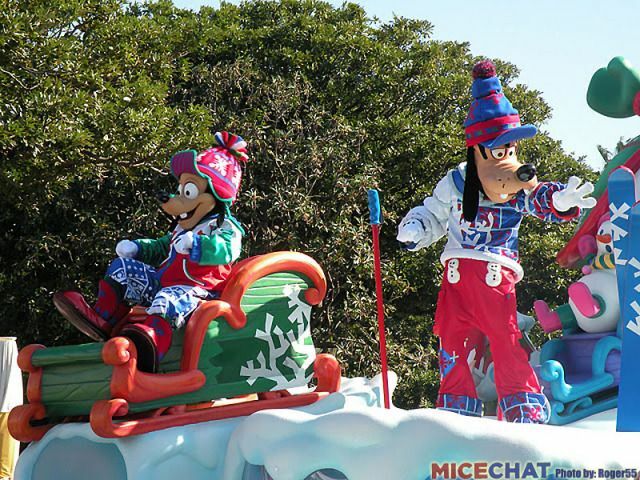 Goofy and Max show us all the fun there is to be had at "Snowman's Playland". 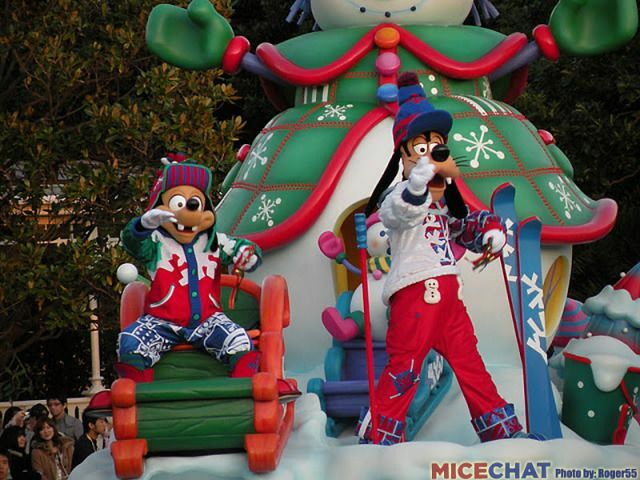 Goofy and Max get into the winter fun along with the snowmen and elves. 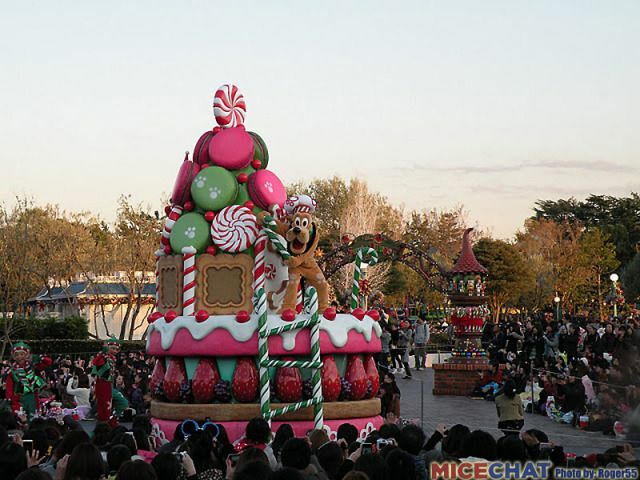 And of course Santa Village needs a toy factory. 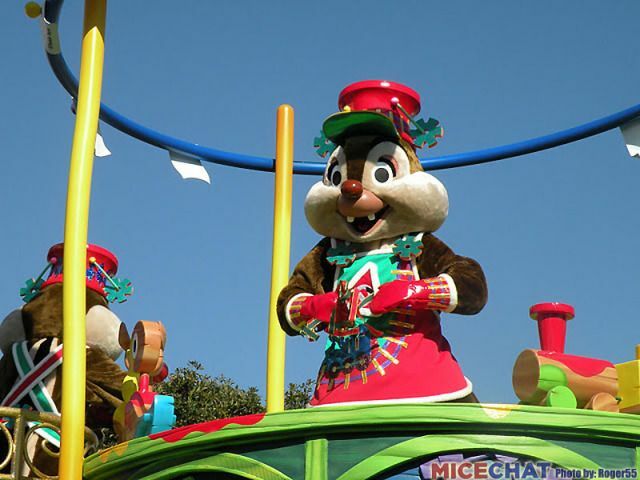 Chip and Dale have been given the job to build all the children's toys, along with some help from the elves. You can see the toy orders posted up on the railing. 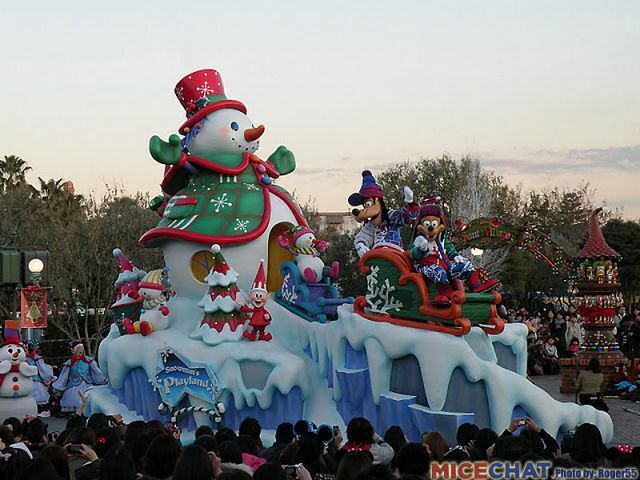 Also along with this float are some of the "larger" toys. And of course there are the Christmas carollers. 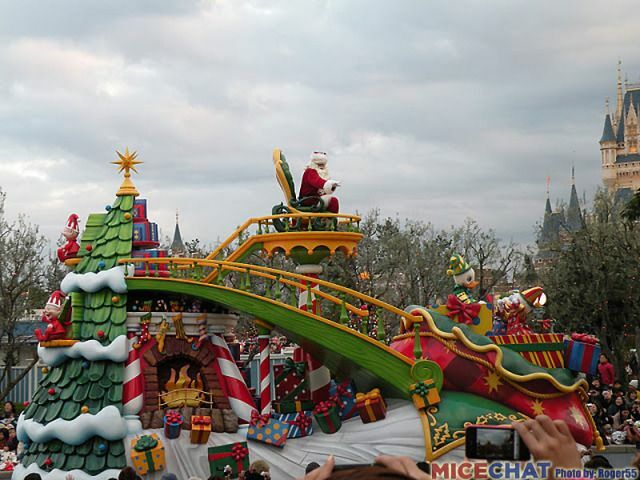 The final float is Santa's house. 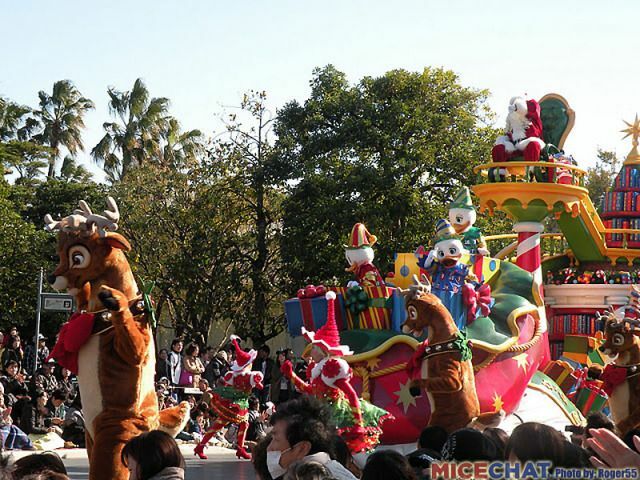 Accompanying Santa are his reindeer. 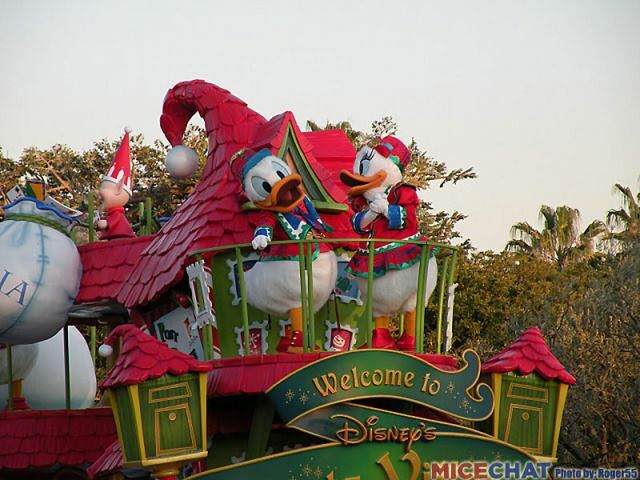 Huey, Dewey and Louie are over at Santa's helping pack his bag. 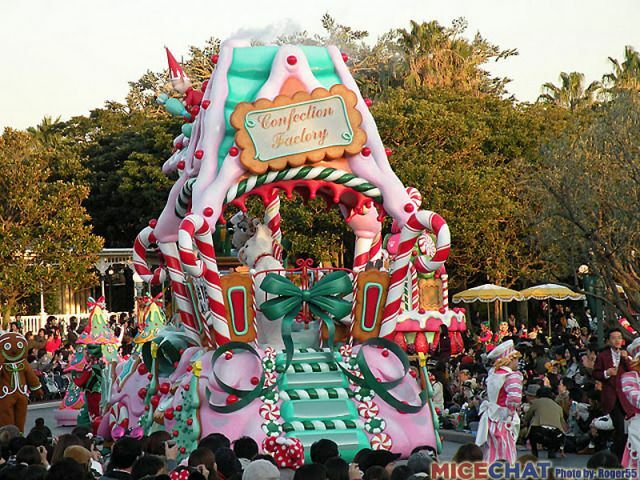 With its grand staircase, library, and Chirstmas tree fireplace, this is just a great looking float. 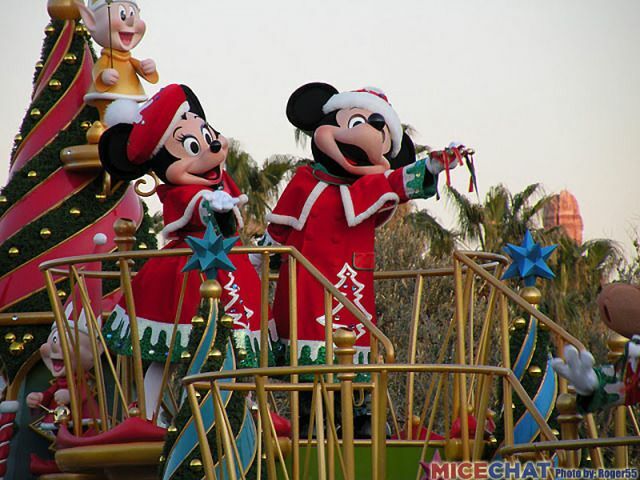 Now that Santa has made his appearance, that about wraps things up for the Santa Village Parade. I've tried to share just some of the magic this parade has to offer. Pictures alone really don't do it justice. 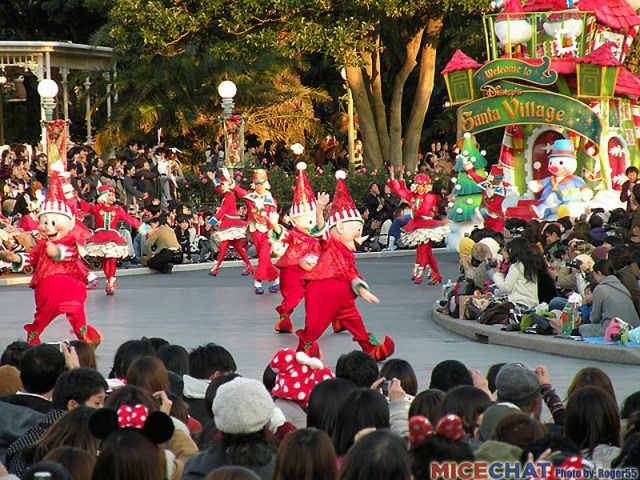 I hope that even this little sampling has brought a tiny bit of cheer from this wonderful parade from Tokyo Disneyland. That will do it for this report. 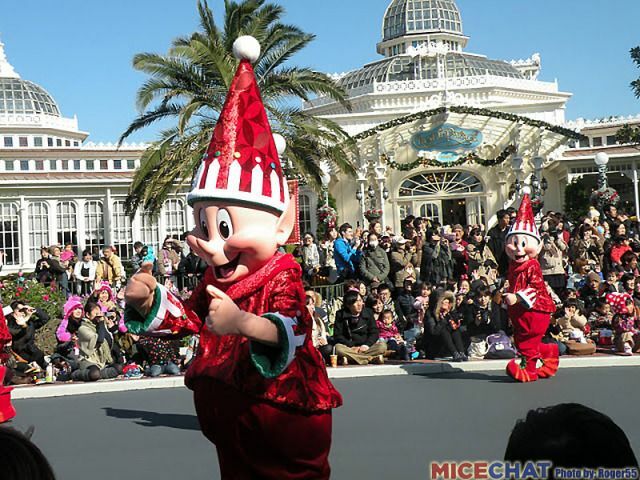 Next time I'll cover the two shows over at Tokyo DisneySea as part of their "Christmas Wishes 2011" celebration. 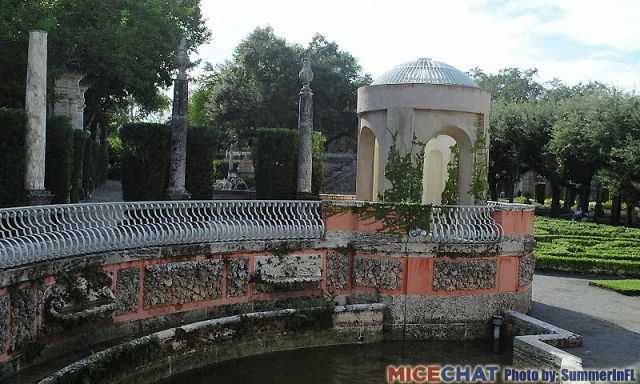 While my family attended a Dolphins game in Miami, FL, my mother and I decided to check out a famous local attraction, Vizcaya Museum & Gardens. 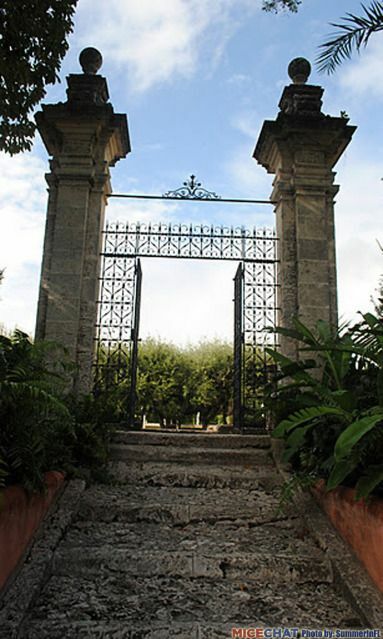 Miami-Dade County now owns the Vizcaya property, as the Vizcaya Museum and Gardens, which is open to the public. 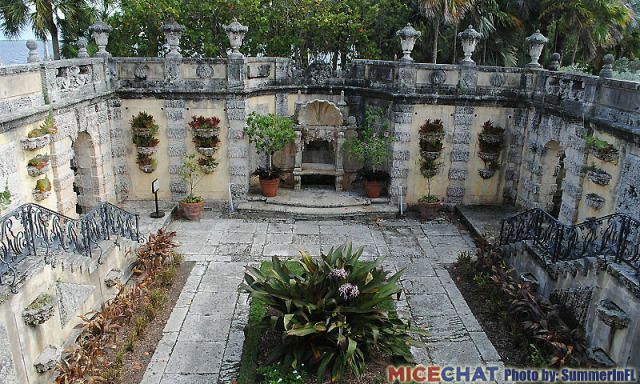 'Villa Vizcaya' is served by the Vizcaya Station of the Miami Metrorail. 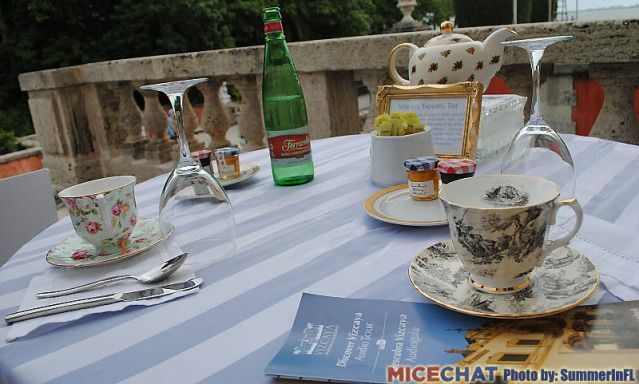 We had tea while listening to live musicians serenade us to the music of Gershwin, it was almost Disney magical. 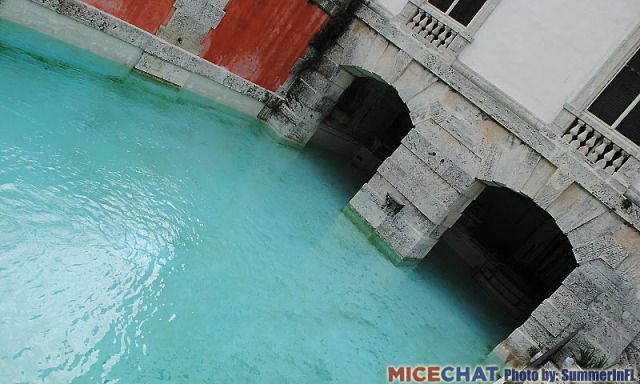 The indoor/outdoor pool that can be filled with either salt water or fresh water. 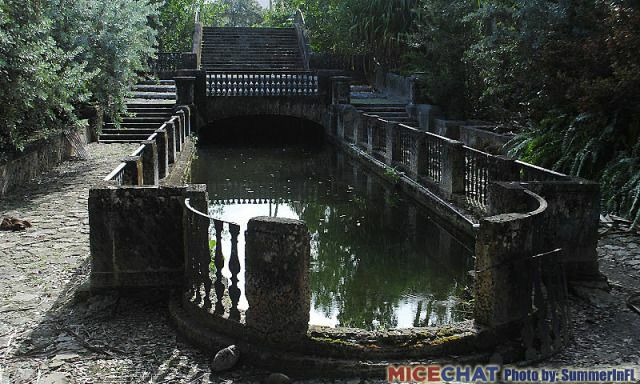 The barge used for picnics, greeting guests and to act as a barrier so the water wasn't so rocky for his swimming guests. 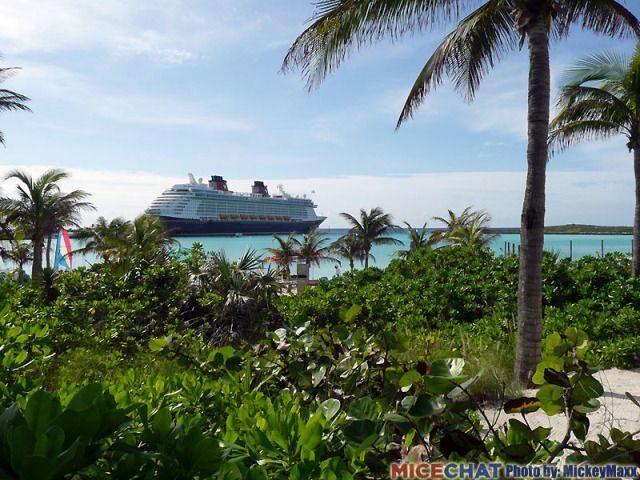 Several weeks ago, we were lucky enough to take a cruise on the new Disney Dream ship. 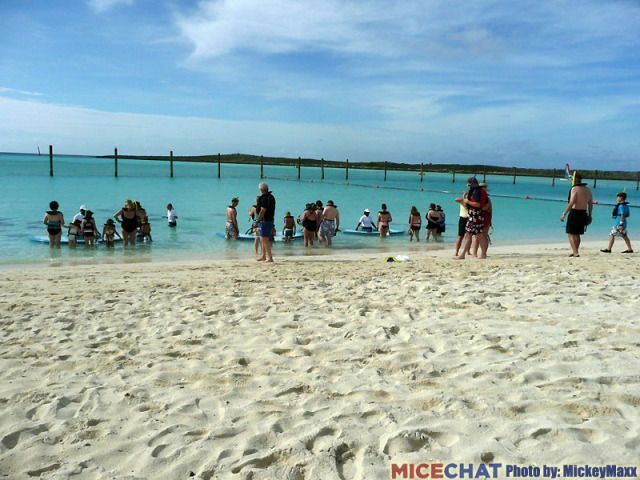 There were many highlights, but our day on Castaway Cay, Disney's private island in the Bahamas, was right up at the top of the list. 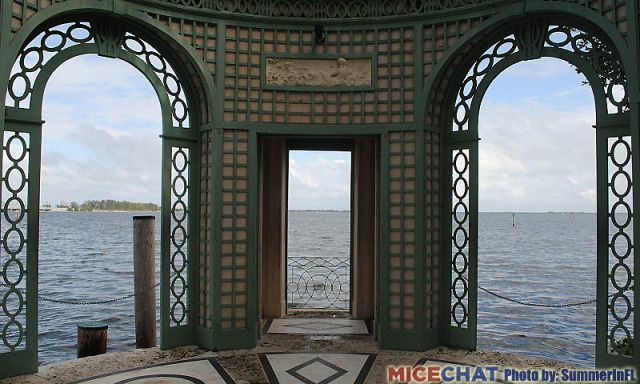 The theme of the island is that the facilities were put together by passengers who survived a shipwreck. 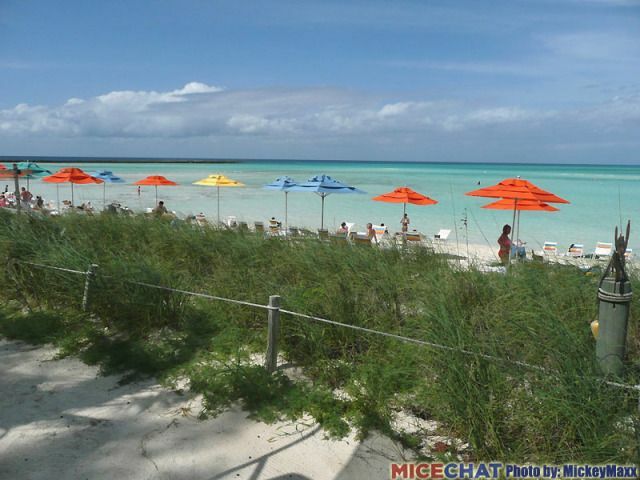 There are officially three beaches, one for families, one for teens, and one for adults. 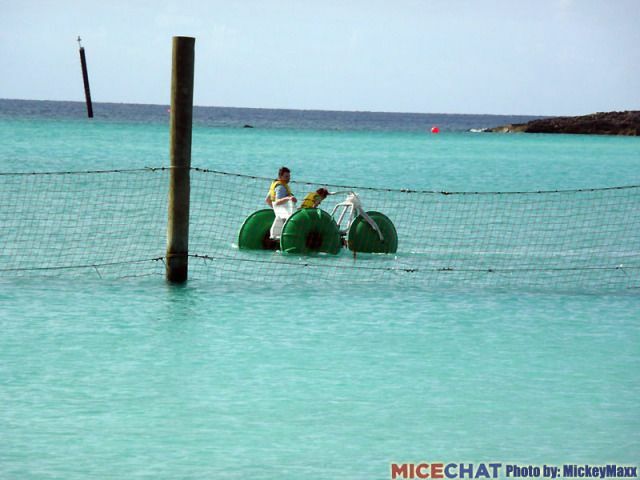 We heard a rumor that there is also a private beach for the ship's employees, but don't know that to be a fact. 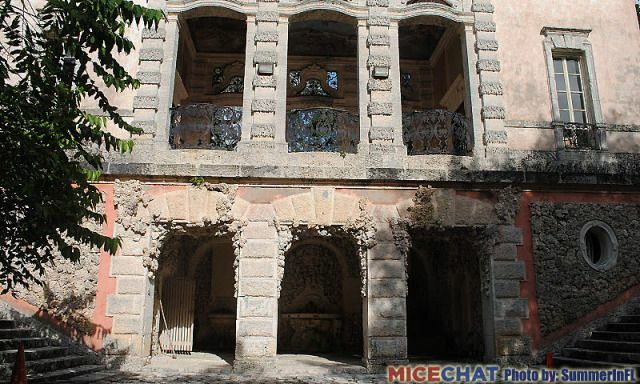 There are many activities to do and shops to peruse. 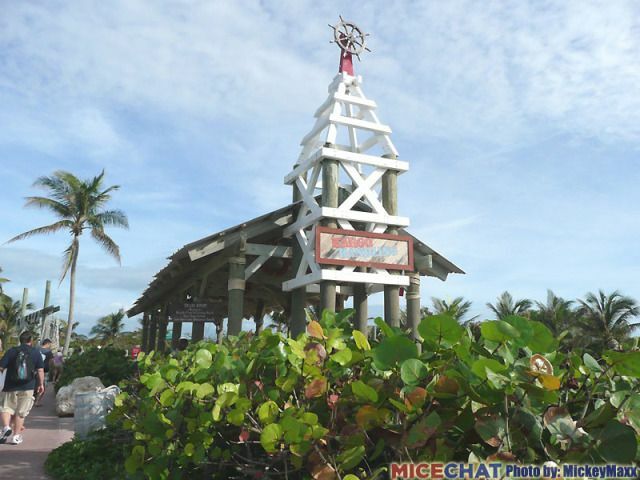 We shuttled to the adult beach, where a wonderful buffet barbeque awaited us. 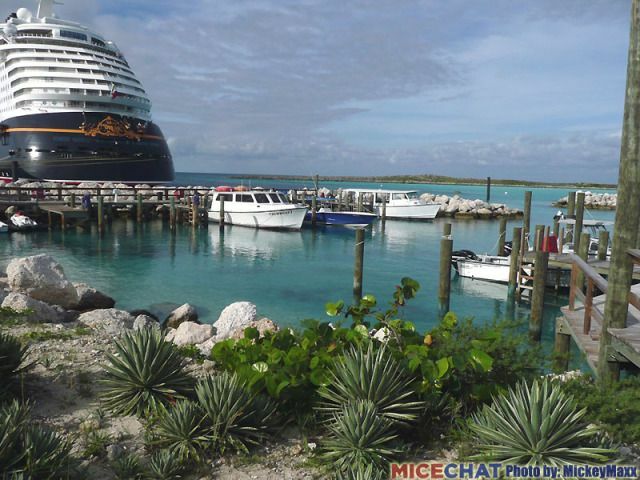 The meals are included as a part of your cruise package. 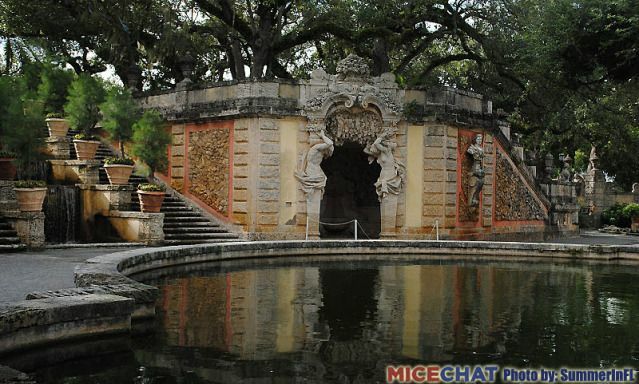 There are many activities, some requiring reservations and an upcharge. 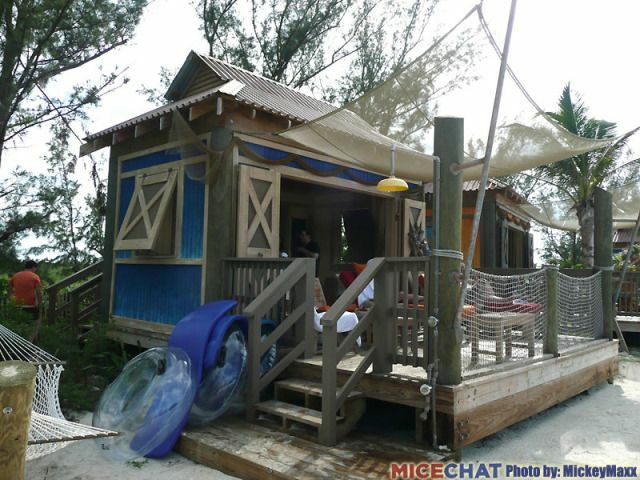 We had the use of a cabana, a small elevated cottage-like wooden structure with panoramic views of the clear blue water and just steps from the white sand beach. 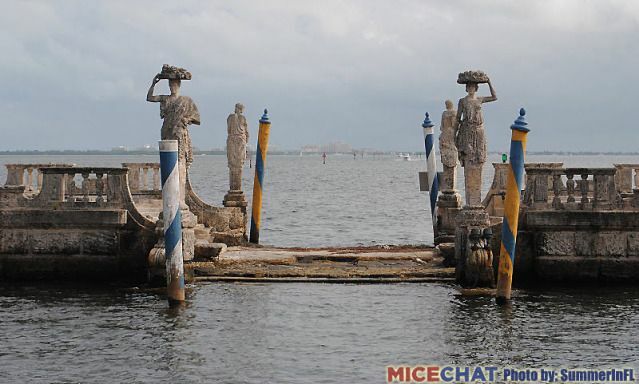 The ships pull up nearly to the beach. 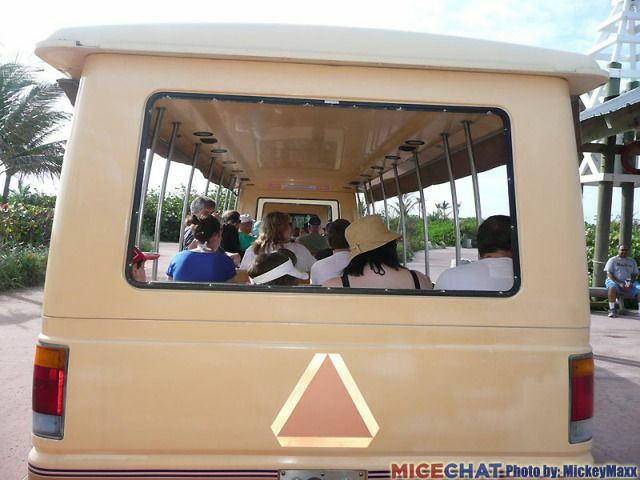 There are trams to take you to the different beaches, large golf carts to shuttle you to your cabana. 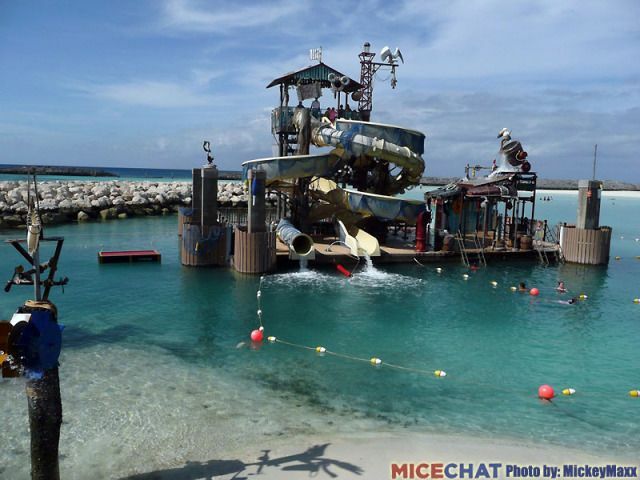 Water park style slides just off shore. 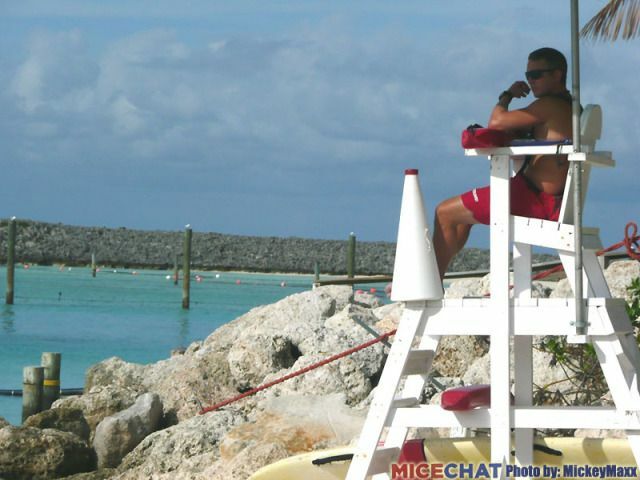 MiceTube - Introducing MiceChat's new channel on YouTube. 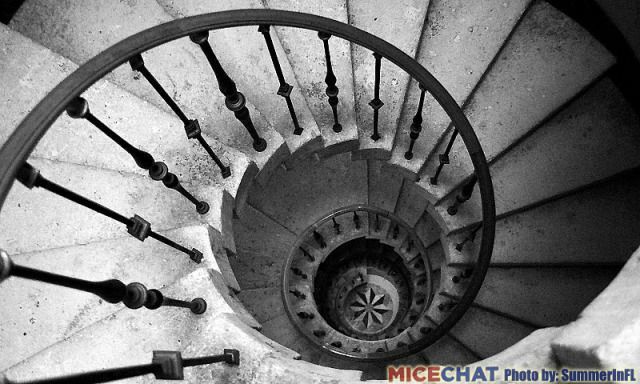 Kevin Yee and MiceChat Sarah have been uploading entertaining videos weekly, along with many other of your MiceAge and MiceChat favorites. 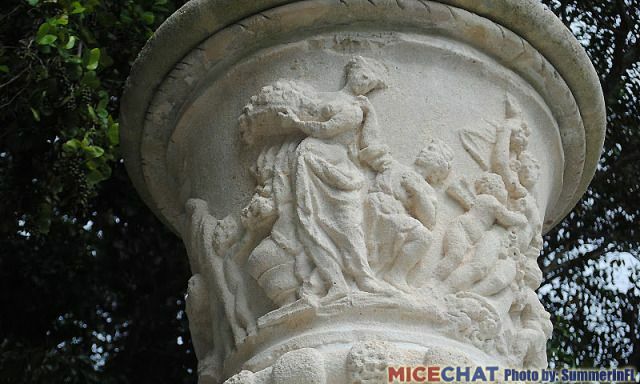 Dateline Disneyland which is packed with great news and photos from the Disneyland Resort. 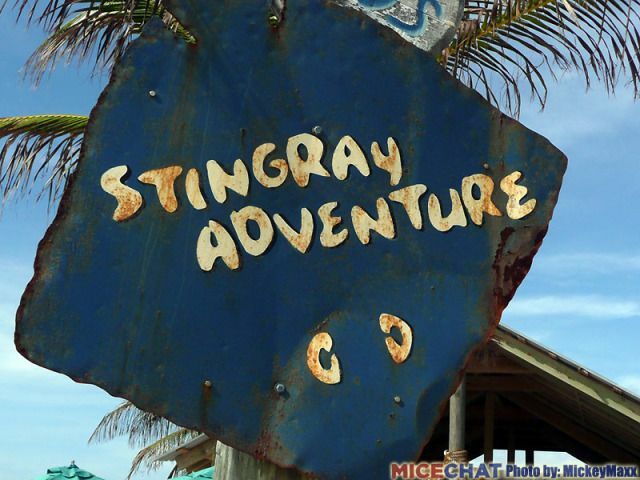 Orlando Parkhopper featuring news and photos from Disney World and Orlando area theme parks. In The Parks offers news, updates and tips from Disneyland and other Southern California offerings. 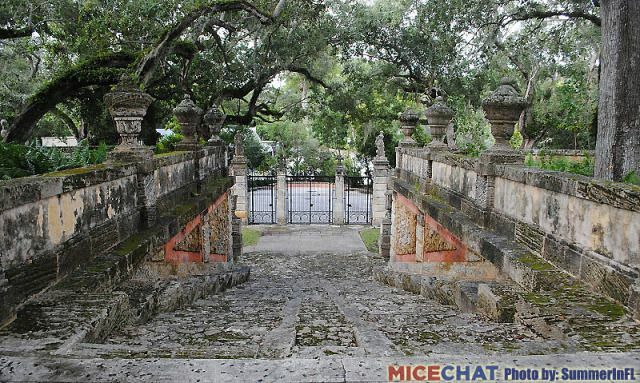 SAMLAND - Your weekly look at some interesting tales from Disney history. 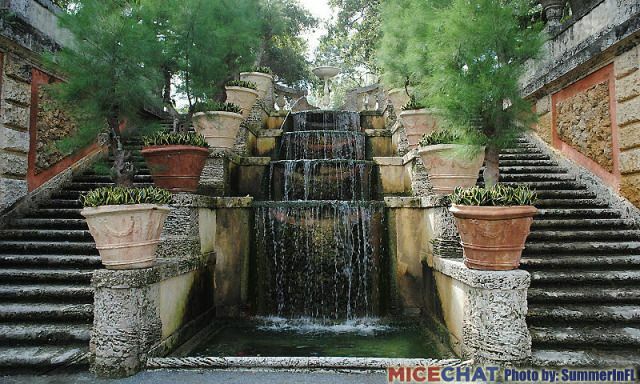 MiceDeals - You won't want to miss out on these great deals for Orlando and Anaheim! 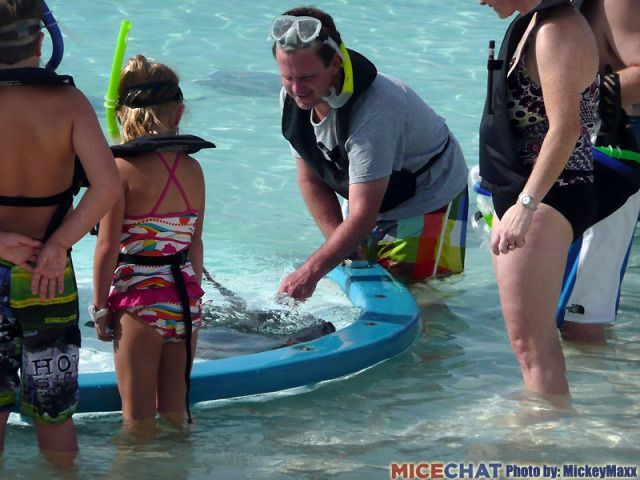 Vacationeering - Every Sunday, we feature articles designed to help you create magical family vacation memories! 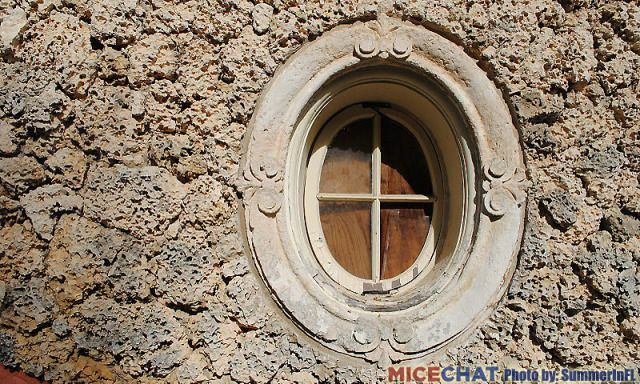 It is readers like you who make MiceChat such a special place. 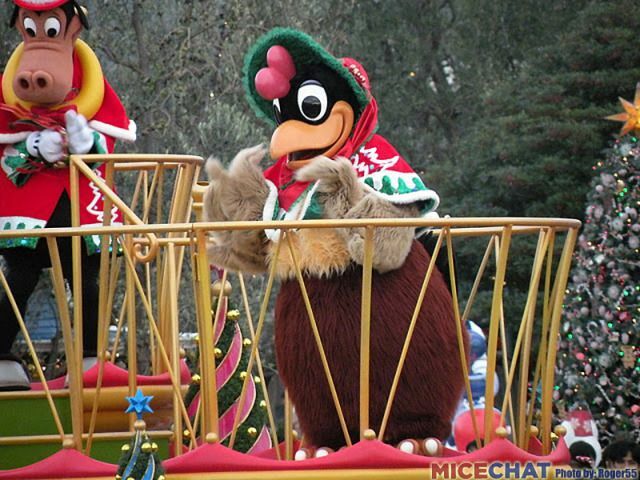 But Clara Cluck is still around in WDW too...she even has a solo in the Halloween parade..she clucks her way through Ghost Riders in the Sky! Thanks for pointing this out. 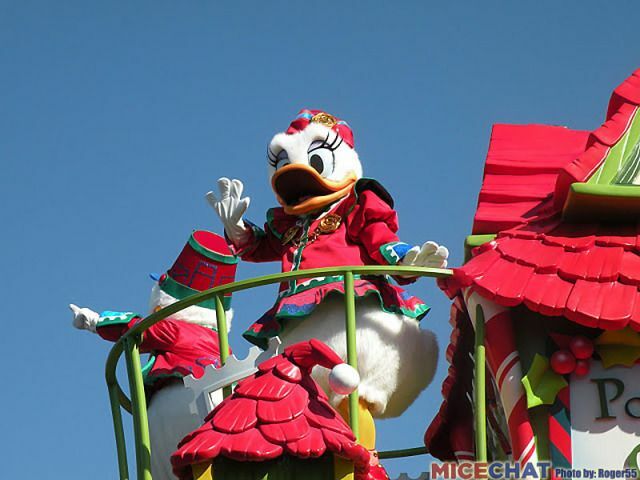 I didn't want to imply that Clara Cluck doesn't appear in any other park. 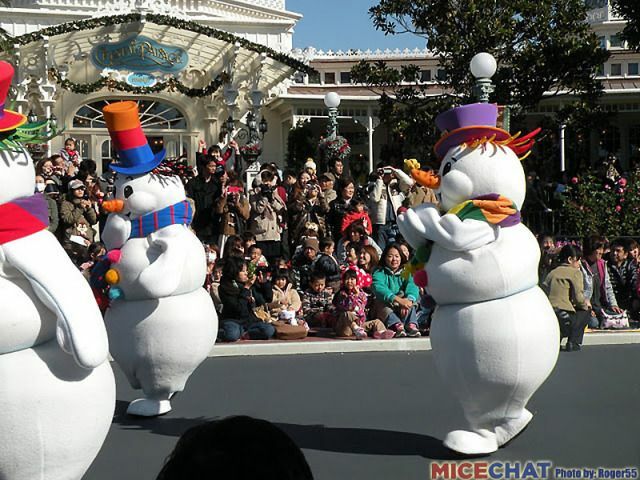 I was trying to point out how some of the classic characters get more prominent showcasing at TDR. 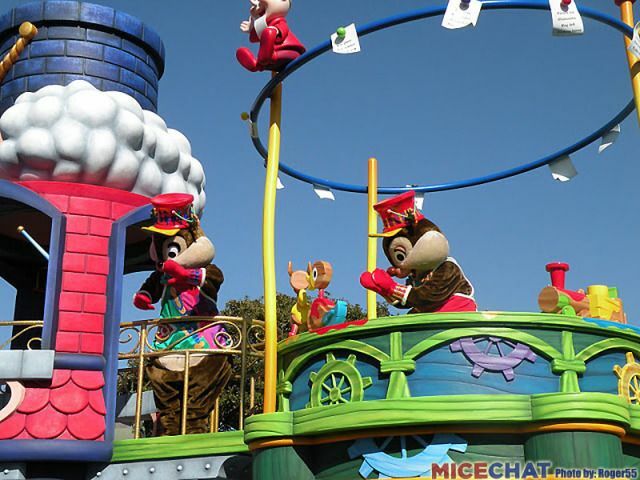 Clara, Horace and Clarabelle get to ride along with Mickey and Minnie. 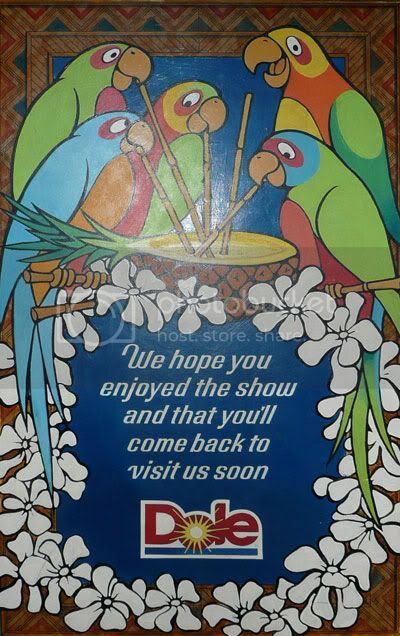 This puts them in the most popular viewing area for the extended show stop performance. 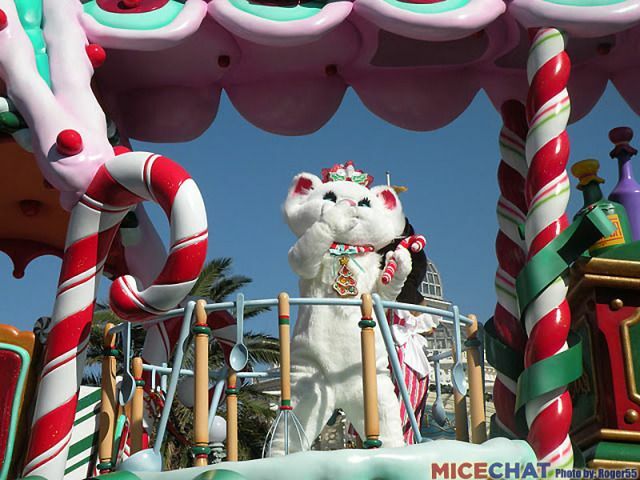 In WDW MK Halloween parade, my recollectin was she was not part of the main float or show stop performance. I do remember her riding by in her hen house float. Thanks for pointing out her solo. I completely don't remember that! Also, sorry for any wrong implication I made with my commentary. 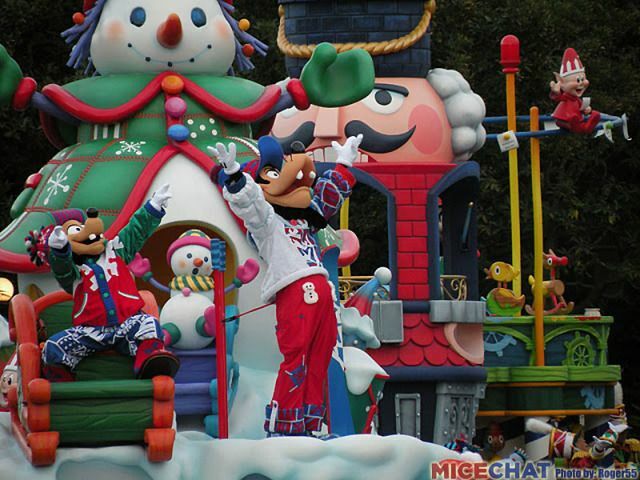 How is it that TDR has such FANTASTIC parades for EVERY holiday? 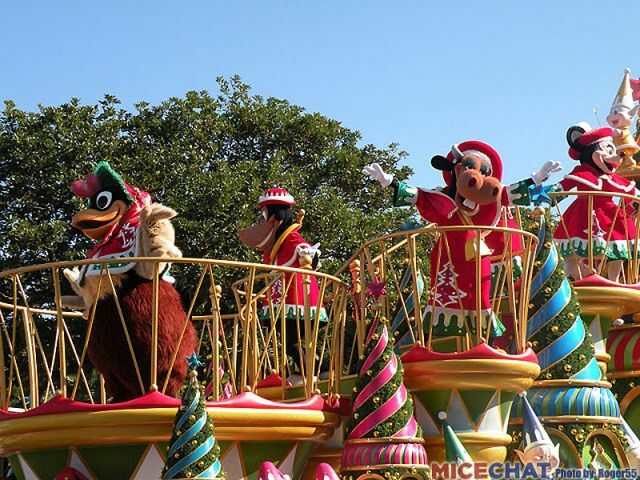 They seem to have such elaborate costumes and detailed floats that surpass even the DLR and WDW parades. 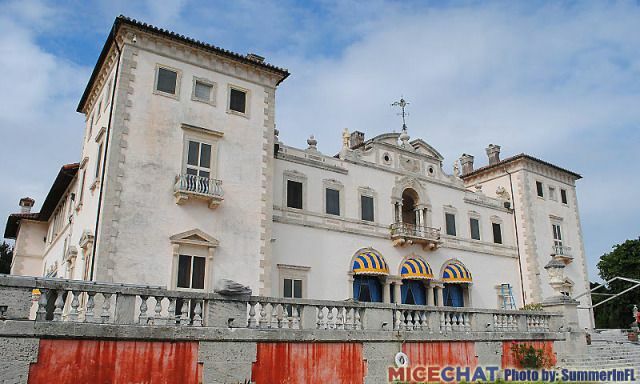 They must have an ENORMOUS budget! 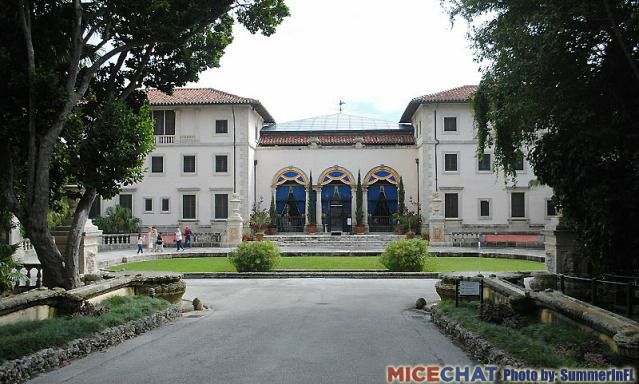 Why can't that kind of money be funneled into the original Disneyland resort? 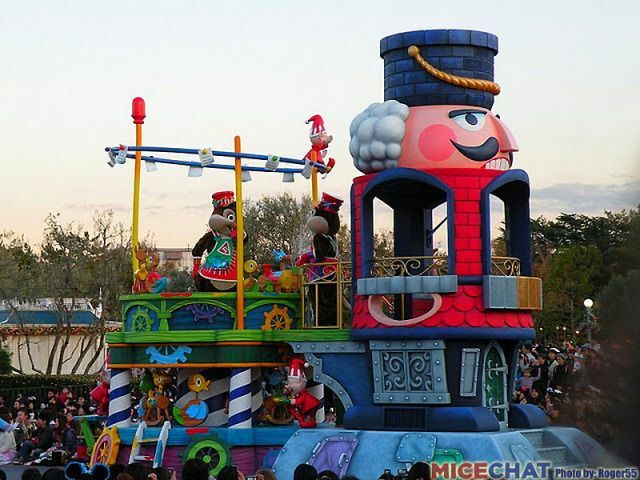 You'd think that by being the park that started it all, the parades would be the most amazing and extravagant ones out of all the Disney parks. 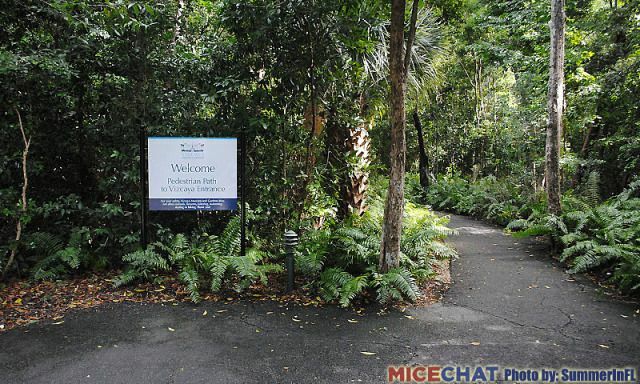 If they're only going to use that parade for 2 or 3 years, maybe they'll let one of the US parks have it when they're done.